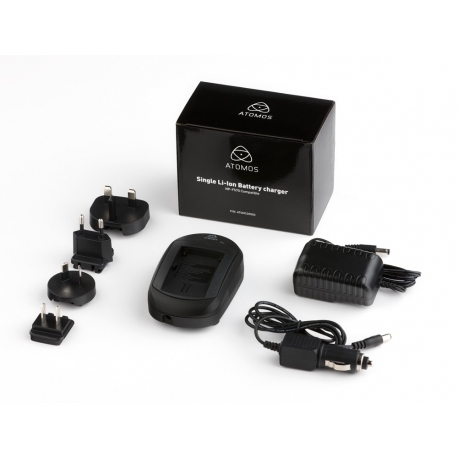 The Atomos Battery Charger is designed to charge the battery which is used with the Ninja 10-bit DTE field recorder. It includes a 1000mA AC adapter plate for charging and a power cable attached to the wall socket. Compatible with the Atomos 10-bit video recorders.